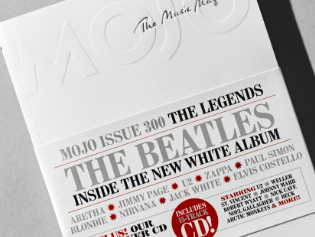 Mojo is celebrating its 300th issue this month with a tribute collector’s issue commemorating The Beatles’ White Album. The November 2018 edition, which goes on sale later this week, will have a statement minimalist cover which is almost entirely white and free of its usual cover lines. The monthly music magazine will feature former editor Paul Du Noyer, who launched the first issue in 1993, providing the full inside story of the White Album. All of Mojo’s other previous editors – Mat Snow, Paul Trynka, Pat Gilbert and Phil Alexander – will also contribute, alongside interviews with musicians such as Damon Albarn, Paul Simon, Elvis Costello and Jack White. Priced at £5.99, the magazine will be accompanied by The Mojo Anthology, an exclusive 15-track CD with rare recordings from some of the best-loved artists from the magazine’s lifetime including U2, Arctic Monkeys, Johnny Marr and Noel Gallagher. Editor John Mulvey, who has been with the Bauer Media title since November last year, referenced words written by Du Noyer in Mojo’s first issue 25 years ago. Mulvey said: “Two hundred and ninety-nine more issues down the line, we’re proud to stand by this mission statement. Great records are still being made. Untold stories remain to be discovered. 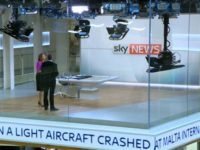 The latest available ABC figures for January to December 2017 showed Mojo has a circulation of 62,779.
great idea from Mojo team and £5.99 it is nothing. Can t wait to read it mad fans of Beatles.